Forest Park Forever president and executive director Lesley Hoffarth said public input will help guide future changes and upgrades at the city's most well-known green space. Forest Park Forever wants to hear from the public about how people enter, get around and access attractions at the green space in the heart of the city. Monday, Nov. 2, from 6 to 8 p.m.
Tuesday, Nov. 3, from 6 to 8 p.m.
Thursday, Nov. 5, from 6 to 8 p.m.
"The purpose of Discovery Week is to really talk with the community about their experiences coming to Forest Park, and that experience really includes how they get here, how they move around when they get here and how they get back home again," said Forest Park Forever president and executive director Lesley Hoffarth. "What would they like to see improved, and what kinds of challenges do people have moving around the park?" Hoffarth said the group is hoping to hear about people's experiences with all modes of transportation, from bicycling and driving to using public transit and walking. "If they're walking, where do they walk into the park?" she said. 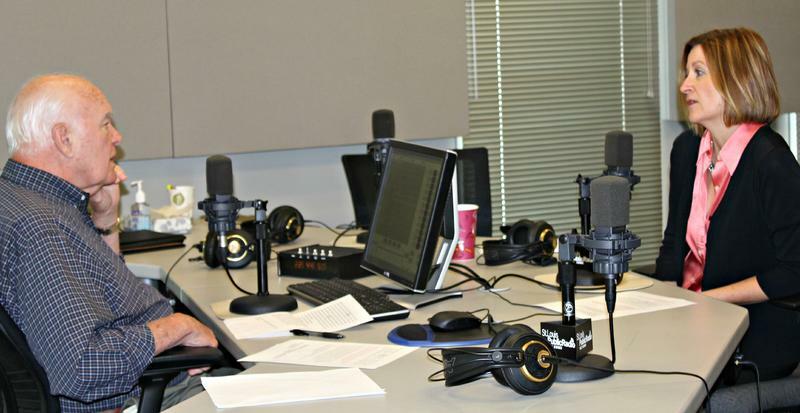 "Do they feel like they have the amenities that will help that? Are there crosswalks, are there pedestrian signals? What would make that experience better for them?" 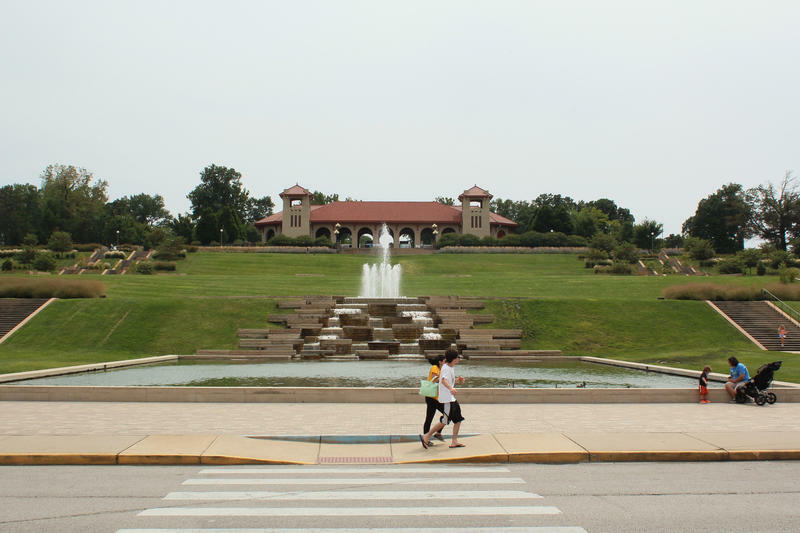 The feedback will be used by Forest Park Forever to help guide the future "high level vision" of a master plan developed more than 20 years ago for restoring the park, Hoffarth said. "How can we continue to make that experience better and how can we plan for improvements in the future that will continue to leave people with a great impression of Forest Park whenever they visit?" she said. During the open houses, displays and discussions will focus around five key topics: parking; perimeter streets; walking and biking facilities; transit and bikeshare; and the "East End Connected." Hoffarth said the last topic refers to the section of the park with the most nature reserves and lakes, and she hopes to get feedback on opportunities for "outdoor recreation" in that area. Forest Park Forever is also talking with neighborhood institutions and leaders from the areas bordering the park to see how connections can be improved. Similarly, the organization also wants to hear about what people think about parking at the park. Hoffarth notes that the park has 8,000 spaces in its lots and on-street parking, but on typical sunny days, only about 40 percent are used "even though the perception is that the park is full." Hoffarth said that's why her organization is curious about how it can better communicate to the public about parking availability. "What we find is that we have a lot of parking in the park; it’s just not necessarily where people want it," she said. "We do want to hear the challenges people have in parking and how we can direct people to the parking. What would people need to know that might help them make a different decision on where they park, if they had information on where parking was available?" Forest Park Forever also hopes to poll the public on its interest in bringing bikeshare to the park, Hoffarth said. She noted that Great Rivers Greenway found in a recent study that there's a lot of interest in bringing a bikeshare program to the city. Now, she said, people can detail where in Forest Park they would prefer to find such an opportunity. For those who can’t attend the meetings, Forest Park Forever has a survey available to give feedback. There is now another spot in St. Louis for chess lovers to enjoy the game in the great outdoors. 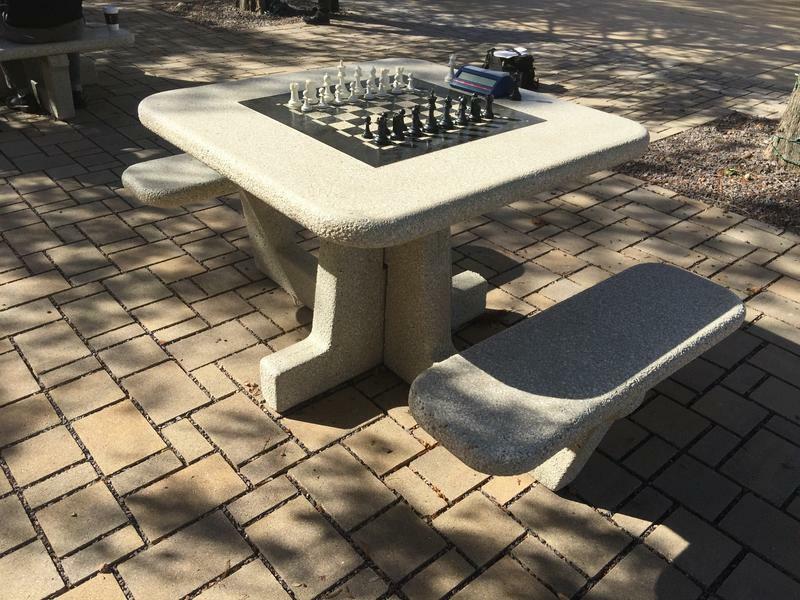 Forest Park Forever has partnered with the Chess Club and Scholastic Center of Saint Louis on four outdoor, concrete tables near Steinberg Skating Rink. The area is designed to attract more people to that section of the park throughout the year and expose more people, especially youngsters, to chess. 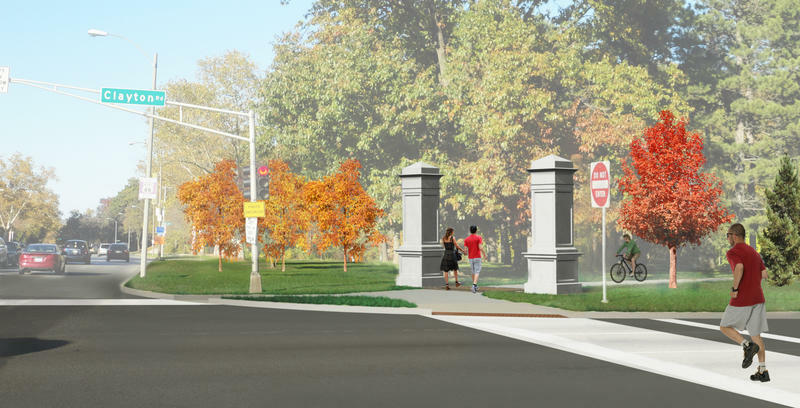 In response to a story about the markers project published two weeks ago, we’ve had thoughtful responses to the entrances-to-the-park issue. Some harkened back to Lawrence Halprin’s proposal for elaborate gates that was hooted down and abandoned in 2001; others expressed ideas about the current plan, created by SWT Design, St. Louis. Visitors will have a new reason to love Forest Park in the coming years: a new interactive digital map. Forest Park Forever’s Director of Strategic Communications Stephen Schenkenberg, 41, assures people the new map will provide an array of useful services for first timers and for those who think they know every inch of the park. 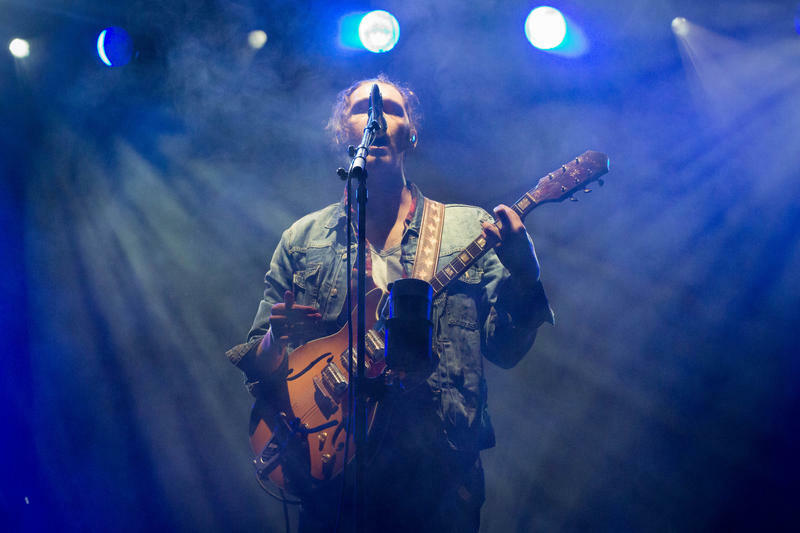 Now that LouFest 2015 has ended, what do St. Louisans want for next year? According to festival organizers, LouFest this year brought a record number of music fans to the event in Forest Park. Promoters estimated attendance for the weekend at roughly 50,000 people. Last year attendance was roughly 36,000. Though attendance was high, people pointed out things they hope will change next year.